If you see a black or blank screen with no sound when you try to watch or launch Netflix, you may be experiencing an issue with your device. Follow the troubleshooting steps for your device below to resolve the issue. When do you see a black screen? Return to the previous menu and try to launch the Netflix app again. 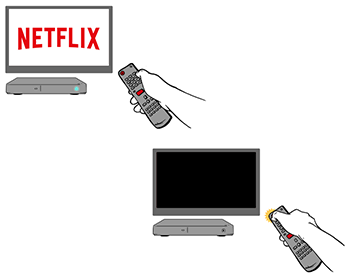 If Netflix is unresponsive and you are unable to return to the previous menu, use this article instead. Return to the previous menu and try to play your TV show or movie again. In the Address Bar in Chrome, type chrome://extensions. In the list of extensions, use the toggle to disable any extensions that are currently enabled (enabled extensions will display a blue toggle). Extensions listed under Chrome Apps do not need to be disabled. If these steps resolve your issue, you may want to try enabling your extensions one by one to see which one is preventing pages on the Netflix site from loading properly. Return to the previous page and try to play your TV show or movie again. If your browser is unresponsive and you are unable to use the Back button to return to the previous page, use this article instead. Are you using a bookmark to visit Netflix? If you usually use a bookmark to visit Netflix, try typing www.netflix.com into your browser address bar instead. If this resolved your issue, update your bookmark URL to www.netflix.com to avoid future issues. Open your internet browser and follow the steps below. In the Clear the following items from dropdown, select the beginning of time. Uncheck everything except Cached images and files. Under Details, uncheck everything except Cache. From the menu sidebar, select the History icon. In the Obliterate the following items from drop-down, select the beginning of time. In the menu bar, select Safari. Select the Manage Website Data... button. Select Reset Safari and uncheck everything except Remove all website data. Go to netflix.com/clearcookies to clear the Netflix cookie; this will sign you out of your account. Select Sign In and enter your Netflix email and password. Select the Menu icon from the upper right corner of your browser. Chrome will display the current version and automatically install available updates. Select Relaunch to complete the update. From the menu bar in Safari, select History. From the drop-down menu, select All History. Sometimes anti-virus software can interfere with the player Netflix uses to play TV shows and movies. Quit your anti-virus software and play your TV show or movie again. If a TV show or movie resumes after you've quit your anti-virus software, this may indicate that the software is outdated or unintentionally preventing Netflix from playing. Please reach out to your anti-virus software manufacturer to address these issues. The issue may be caused by adware installed on your machine. For detailed steps for resolving this problem, see our Ads and Pop-ups When Streaming article. Return to the previous page and try to visit Netflix.com again. If Netflix is unresponsive and you are unable to use your browser's Back button to return to the previous page, use this article instead. In the Clear the following items from drop-down, select the beginning of time. Select the Gear icon . Uncheck everything except Temporary Internet Files. If you do not see Privacy & Security, continue to step 4. Uncheck everything except Cached data files and Cookies and saved website data. Click on the Start Menu in the bottom left hand corner of your screen. From the items listed, right-click (or press and hold on touchscreen devices) on your preferred browser icon (Netflix supports Internet Explorer, Firefox, Opera, and Google Chrome). Use this newly opened window to play your TV show or movie again. Attempting to play again from the original browser window will likely result in the same error. If these steps allow you to stream TV shows and movies from Netflix.com, your account does not have administrative rights. Talk to your computer manufacturer/administrator to add administrative rights to your account. Click the Chrome menu button on the browser toolbar. In the Time Range drop-down, select All time. If you're not already at the home screen, hold the PS button in the middle of the controller, select Quit, then select Yes. Press the Triangle button on the controller. 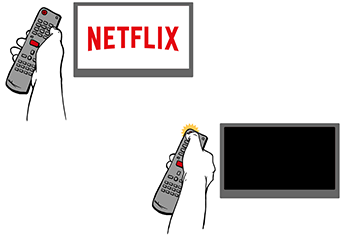 From the home screen, navigate to the TV/Video Services section and select the Netflix icon. Select Yes to confirm you want to download software. The Netflix app will now begin downloading. If you do not see the Netflix app, follow the steps below to download it from the PlayStation store. From the PS3 Home Screen, select PlayStation Store. This error is typically caused by the cable connection between the Xbox and your display. See Microsoft's Xbox 360 support site for specific steps to resolve the error. Ensure that you are using an HDMI cable. 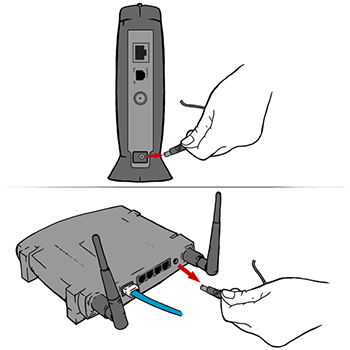 Bypass any receivers or stereo equipment by connecting your device directly to your TV. 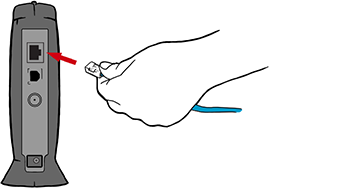 Try reversing the ends of the HDMI cable. If you were able to stream on another TV, there may be an issue with the HDMI port on the original TV. Contact the TV manufacturer for further assistance. Hold the Power button on the side of your tablet. When you are prompted with the message Do you want to shut down your Kindle? or Do you want to shut down your Fire?, tap Shut Down, Power Off, or OK.
Once the device is completely powered off, hold the Power button until you are presented with the Kindle or Amazon logo. Press and hold the Menu button on the Apple TV remote until it returns you to the Home Screen. Wait for the Apple TV to finish rebooting, then try Netflix again. 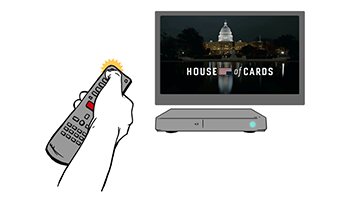 Press the Smart Hub button on your remote. Press the Tools button on your remote. If you do not have a Tools button, proceed to the next set of troubleshooting steps. If you are still getting a black screen, please try Netflix again in 20 minutes. It can take this long for the app to complete setup.